When you purchase a 2017 Ford Super Duty, you can be sure it is the result of more than 16 million kilometres of cumulative testing at Ford’s cold weather testing facility in Thompson, Manitoba. Like Grande Prairie, Thompson is far up north and can get very, very cold. The 2017 Ford F-250 and F-350 are the perfect trucks to tackle Canadian winters and the biggest jobs. While other heavy-duty pickups merely adapted to winter, the Ford Super Duty was born into it and built by it. Come visit our warm and bright showroom or check out our online inventory of models of the 2017 Ford Super Duty in Edmonton. Your new 2017 Ford Super Duty in Edmonton can transport a lot of mass from A to B. But really, this capability isn’t worth a thing if your trailer is swinging. Any driver who has ever been driving down the highway will surely appreciate that every 2017 F-250 and F-350 comes standard with Trailer Sway Control to significantly reduce the chances of your trailer becoming unruly. To reduce brake wear when routinely pulling heavy freights, the 2017 Super Duty also gets an available tow/haul mode that slows your truck on downgrades with the engine exhaust braking. Whether you prefer 4×4 off-road traction or 4×2 towing prowess, the 2017 Ford F-250 and F-350 offer two choices. With Ford’s TorqShift Heavy-Duty 6-speed SelectShift automatic transmission, the F-250 and F-350 offer best-in-class horsepower, torque and fuel efficiency to make short work of any kind of hills, highway expanses or heavy loads.  Our Edmonton Sales team would be happy to introduce you to a new Ford Super Duty pickup, and we’ve got them available for viewing in our New and Used inventories. And our Parts and Service departments can order and install any F-250 or F-350 truck accessories you need, including seat covers, tool boxes, bed extenders, remote starters and off-road wheel and tire packages for you.